Since its release, FTL: Faster Than Light has become something of a darling in indie publishing, and perhaps with good reason. As stated in a recent Penny Arcade editorial, FTL is one of the first PC games to go from kickstarter campaign to finished product. This fact alone makes FTL a noteworthy achievement. Yet it just so happens that FTL is also a fantastic game. In fact, what really sold me was a realization that occurred ten minutes into my first play through. Therein, FTL is almost exactly what I imagined for myself the first time I turned a refrigerator box into my own personal starship. In simplest terms, FTL is a rougelike starship simulator. Players take command of a ship, enter a procedurally generated universe, and must get from point A to point B lest the Federation fall into rebellion. As is the case in most rougelike games, death is a permanent thing. More often than not your ship’s crew members will die, and your ship itself will quite likely explode. Don’t say I didn’t warn you. A single start to finish sitting of FTL takes about two hours. I’ve managed to log about twenty hours into the game, and in this time I’ve never yet managed to save the Federation. Oh and did I mention I am playing on easy? FTL revels in denying a player easy victories, and believe me when I say this is not a bad thing. 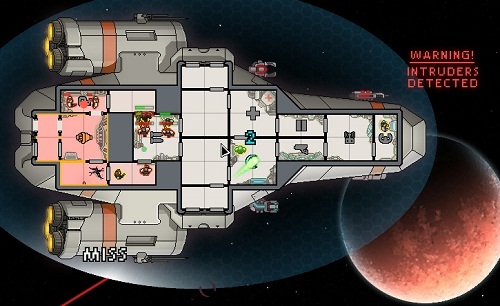 FTL doesn’t cheat per se, rather as a game system it is indifferent to a gamer’s success. Random encounters within the game are governed by chance as much as they are strategy. Case in point, rescuing a mentally unstable castaway on a planet might result in him killing one of your crew members. But on another day the same scenario could lead to him joining your mission. Many a time FTL has made me pound my fist on my desk for its seeming lack of fairness – an enemy ship jumps away with two of my crew aboard, my mechanic gets ganked by an invasion of space bugs, a lucky missile takes out my ship’s door controls so that my pilot is left to die from a hull breach. And as I watch my ace shipmaster’s life trickle down to nothing, a voice in the back of my head reminds me, “Life’s not fair.” Chance can often undermine the best laid plans of a would-be captain. Hear me now when I say that if you are the sort of gamer who can not handle losing, you’re probably not going to like FTL. Amid all the responsibilities and consequences that go with commanding a starship, FTL is also about resource management. That may not sound particularly fun. However, FTL draws on some classic game mechanics to ensure upgrading the sensors, a seemingly inconsequential act, is a weighty decision. This design aspect is very much in the spirit of an old tabletop starship combat game called Leviathan. One of the core rules to Leviathan states a ship will never have enough power to run all its systems at the same time. Such is the case in FTL. There’s no way to maximise everything and create a Death Star. Spend too much scrap, the game’s main resource, on upgrading the ship’s components, and there won’t be enough left for weapons and ammunition. Want to have a fully powered cloaking device and three sets of combat drones in simultaneous play? Then I hope you enjoy sucking hard vac because your shields will likely be paper thin. As is the case with the rage gamers, short sighted min-maxers need not bother with FTL. Beyond weighing consequences and scrounging for resources, lay the game’s greatest strength: its nature as an incubator for a player’s internal narrative. The reason people play something like X-Com twenty years after its release is the fact that it lets gamers create their own story. FTL does the same thing in a similar manner. Naming a ship and its crew members may not sound like much, but doing so knowing said ship and crew may die forges a sort of familiar agency. As crew members gain experience in their shipboard duties (weapons, piloting, shields, engines, repairs, hand-to-hand combat) so too do they become more than throw away props. On one of my recent missions the HMS Archon nearly defeated the enemy flagship, thus saving the Federation. Ultimately though, the battle became a standoff which saw neither ship able to deliver a knockout blow. In managing ship board fires, raiding missions to the enemy ship, and more hull breaches than I could count, I lost six out of my seven crewmen. Brave Captain Shaftoe was the first to perish when a missile hit the cockpit. First officer Hudson Hawk perished trying to manage a fire in the weapons compartment. The Rock monster twins died en route to sick bay after beaming back from a raid to the enemy flagship. In the end, half the ship was depressurized, due to hull breaches and my decision to blow the airlocks as a means of coping with fires; the remote door controls were destroyed, so the airlocks were stuck open, and only Chief Engineer Wil Wheaton remained alive. He died on a suicidal run to repair the cockpit so that he might jump the Archon back to base. And there I had it: game over. Until I started a new game, with new characters, and began a new story. In this, FTL harnesses the pure creative joy that comes with turning a refrigerator box into a Star League Gunstar, a Rebel X-Wing, or a Constitution Class starship. There are a couple of minor things I would want to see in subsequent updates to the game. An occasional option to plunder a captured enemy ship’s equipment would be helpful. Additionally, I’d like the chance to rename crew members when they join my ship. But beyond those two very small details, FTL is a well balanced (in so much as any game that is out to kill you can be) and magnificently polished title. 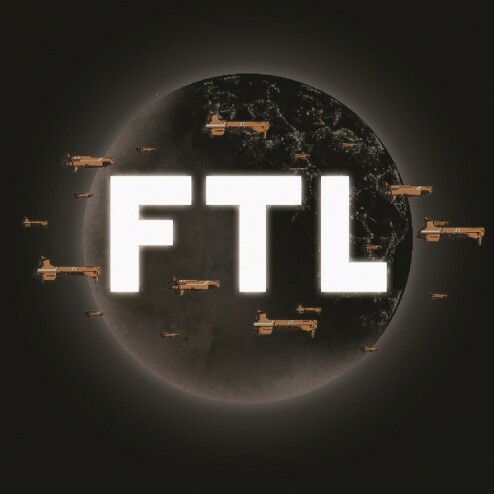 The two-man team of Justin Ma and Matthew Davis has created something genuinely fantastic in FTL. The game is accessible enough for anybody in terms of interface and controls. Yet given its focus on consequences, command decisions, resource management, and permadeath it is likely to attract a certain type of mildly masochistic gamer. At the same time, FTL is equally a conduit for the sort of creative energy most people pack up with their childhood. Now if anybody needs me, I’ll be in space.